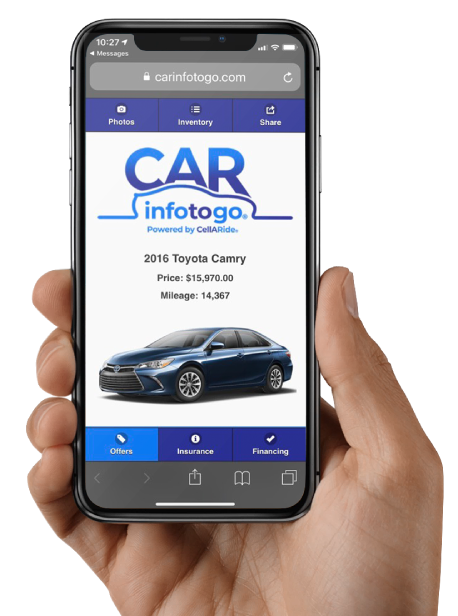 CarInfoToGo Virtual garage stores all of the vehicles you inquired about on one platform. Enter your phone number below to view all of your vehicles in one place! Incorrect login...! Please try again. Please enter the 4-Digit PIN we've sent to your cellphone number. Password must be at least 8 characters in length, contain at least 1 lowercase and 1 uppercase letter, 1 special character, 1 number and 3 letters.